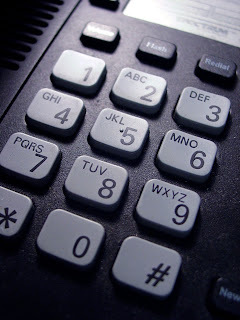 Do you currently pay for a home phone line? Are you looking for ways to save money on your home phone service? Saving money is always a plus! Below are some great tips to help you slash your home phone bill, meaning more money in your pocket. Who doesn't like the sound of that? 1) If your provider offers multiple services such as home phone, cell phone, internet, and cable or satellite television you may be able to get a discount for bundling all the services you use into one great low rate package. Call your provider and ask if they offer any package discount rates for bundling. You do not have to use all of their current services to get a bundling package. 2) If a bundling package is something you're not interested in, you can always call your provider and ask if they are running any current specials. If a competitor company is offering a lower rate, you can inquire to see if they will price match, so do your research! 3) Are you a loyal and long term customer of your current provider? If you are planning on staying with your current provider you can ask to have a lower rate in exchange for locking in a one year agreement. I have personally done this and it works! 4) If you make a lot of long distance phone calls your best option for saving money is to go with an unlimited long distance plan. It's a flat rate on your bill every month for as many long distance calls you make. 5) Are you a low income household? Many phone services offer a discounted rate for those who are low income. Inquire with your phone company and see if this is an option for you. You usually will need to provide proof of income to get this discount.